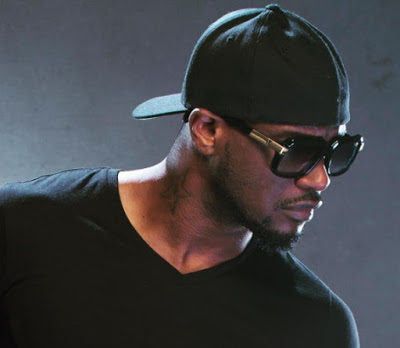 The All Progressives Congress(APC) youth renaissance group has fired a stinker at Peter Okoye of P-square for insulting the Federal government of Nigeria. This comes after Peter Okoye had slammed the intentions of the Federal Government through the ban, referring to it as ‘shameful‘. Replying Peter Okoye’s condemnation of the ban, Mr Collins Edwin, the group national secretary of the APC youth group in a statement made available to PoliticsNGR, referred to Peter Okoye as a ‘son of darkness’ and urged security agencies to arrest the musician for comments alleged slander and defamation of character. We read the scurrilous remarks credited to Mr Peter Okoye of the Psquare group against the Federal Government’s job-saving policy in the entertainment industry with great anger and vexation. Least of all persons to make scathing remark against the government is the Psquare group which the local content policy of the Federal Government dusted-up from the valley of obscurity. Where was Peter Okoye or Psquare brand in 1999 when foreign music dominated our airwaves? If not for the government policy which mandated all broadcast stations in Nigeria to pay attention to Nigerian music by playing 95 percent of Nigerian songs every day, would Peter Okoye or Psquare be known to anybody in Nigeria today? Or would they have competed with better American music which dominated our airwaves then? After the government have used its policy to brush them up from nothing to something; instead of giving opportunity to other people, they are taking Nigerian jobs to foreign countries through the shooting of music videos abroad. Now that government have intervened to raise great and better entertainers again, Peter Okoye has the gut to insult the entire Federal Government by calling our great leaders ‘Ndi Ala’ which means mad and stupid people. How dare you say that Psquare? We, therefore, urge the security agencies in the country to arrest Mr Peter Okoye for disrespecting our government and bringing it to a disrepute. If you cannot produce in Nigeria and hire Nigerians, then leave the industry. We must export Nigerian culture to the outside world through our music and videos.